Mijas is a small town with a traditional feel amongst the lights and hustle of the bigger Costa del Sol destinations, situated right at the heart of the region. A typical Andalusian white village with beautiful bunched-up houses where you will find numerous gift shops, museums and great spots to take panoramic photos. Although Mijas is slowly growing, mostly due to several good golf courses in the vicinity, it retains its charm. I’m sure you have travelled by taxi, but have you ever ridden a Donkey-Taxi? In Mijas, this is possible. 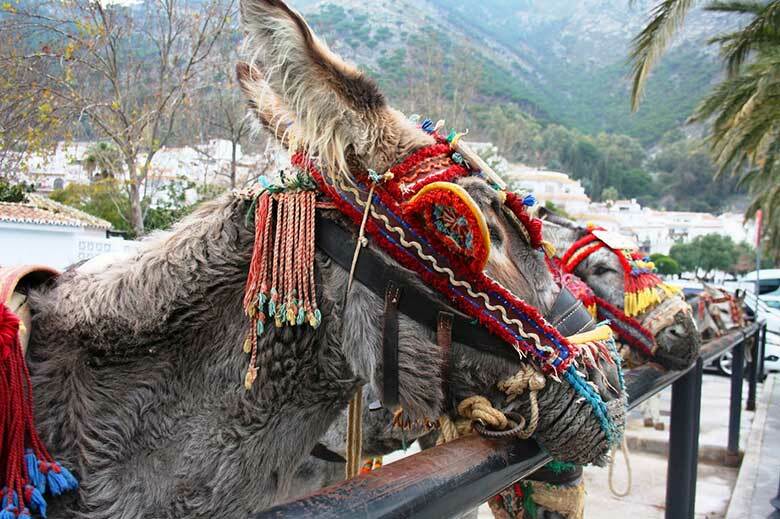 There is a “Burro-Taxi” stop right in the centre of the main square, from there you can start a quick tour around Mijas, including some popular tourist spots, riding your cute and well tamed donkey. Although you have to drive up a very steep hill to reach Mijas – shouldn’t take you more than 20 minutes – its location is ideal for those looking to visit several destinations in a single trip, as it’s placed in the heart of the Costa del Sol.